A wonderful album, that amazes by the freedom and playfulness of music that knows no genre boundaries but fits together nicely. Just like the cover image, it's sort of a well blended collage. That guy has a real talent. The sound is generally on the breaky beaty side. I wouldn't compare it to soothing sounds of CBL or MOS 681. I find style of this album similar to Zubzub - The Powers That Bleep, but better. Eiko obviously doesn't get how to listen to the chill genre. There aren't supposed to be songs. You're supposed to listen fractally, as deep into the mix as you can possibly go. When you get to the point where you can do it, you start losing track of time -- as in where did that hour just go -- I put the disc on 5 minutes ago and it's over already? Shakatura is a wonderful record full of rewarding listening, but it certainly isn't due to the sectional structure of the songs -- the correlation between the sectional structures and what's happening fractally is awe-inspiring. Shakatura is one of the few chillout artists that doesn't doesn't seem to suffer from this. The tracks here actually build up and have strong rhythms and melodies! They have a structure! Sounds don't just float in and out of the track aimlessly! What a novelty! The first 5 tracks here are all awesome. They are similar sounding so they flow nicely, but each has some totally unique touch that will grab your attention and interest and hold it whole way through. Tracks 3 and 4 have some purely masterful and awe inspiring parts! Track 2 is the only one that has any chanting/singing in it (thank god!). Coincidentally the same sample used in this track was also used on Cell's debut album in 2005 but I Shakatura's use was way better. 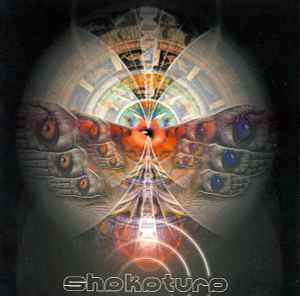 A slightly modified shorter version of this track is also used as the opening track on Shakatura's second album. Unfortunately tracks 6 & 7 can't match up with the first 5 tracks. They have the basis, but nothing that really distinguishes them. They are the weakest part of the album, but they are still not bad tracks by a long shot! It's no surprise they were cut from Shakatura's second album, which reused most of the other tracks. Track 8 is another pretty nice track, but it's also not that strong either. Telemetry, the closing track, is my personal favorite. It's an 8 minute rhythmic beast with nice progression. It's probably not as interesting as some of the others but I'm a sucker for the rhythm. This album does not have lots of superfluous extra birds chirping quietly in the background or waterfalls and stuff, but the structure it has is infinitely more important. Sequencing a lot of background sounds on top of each other doesn't make good music. 3/4 of the tracks here are 5x better than cbl's "mos 6581" on their own. I strongly recommend this album before any other chillout album even though it's not perfect by any means, especially if you appreciate good goa/psy trance.